Ett destilleri som ligger oss varmt om hjärtat är Highland Park långt uppe i Skottland på Orkney Öarna. Vi kontaktade både destillerichef Marie Stanton och Senior Brand Ambassador Martin Markvardsen för att se hur de ser på sina karriärer och sitt engagemang på Highland Park. Vidare är detta första dagen i vår Highland Park-vecka som under resterande dagar (tis-fre) kommer att innehålla recensioner av utgåvor från det klassiska destilleriet. Så häng med oss under veckan. I vanlig ordning kommer vi först att återge intervjuerna på engelska, men i slutet finns det en svensk översättning. Hi! Please introduce yourself to our readers? 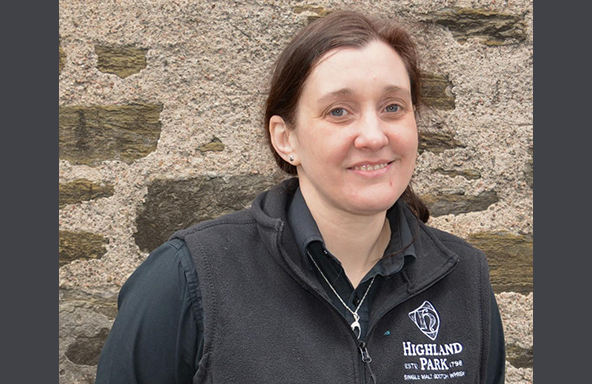 Marie: My name is Marie Stanton, Distillery Manager at Highland Park. Married to husband Dave and 3 kids, Jack, Sophie, and Leah. I’ve not long been on Orkney, having only moved up from Speyside in October 2015. Before coming here I worked for William Grant and Sons at The Balvenie and prior to moving to Speyside in 2006 I had worked in cask ale breweries, Timothy Taylors and Shepherd Neame. Martin: My name is Martin Markvardsen and I am the Senior Brand Ambassador for Highland Park. I have for the last 10 years worked for Edrington Group but been in the industry for almost 26 years. In 2009 I became a Keeper of the Quaich. Martin: It all starting after a visit to a distillery, after the tour be one of the warehouse men I was sold and I knew right away, that this was my call. Began to work for free at a few distilleries and learned everything from working in the warehouse to distill and to do the blending…. I am fortune to have had some really good teachers. How would you describe the house-style of Highland Park? Martin: Highland Park is a lightly gentle smoky single malt, with some nice sweet honey notes…..we also aim to get a rich fruity notes to every bottling. How would you explain the difference between your peated whisky and the one from Islay? Why did you bottled the HP Cask Strength Edition exclusive for the Swedish Market? Martin: Sweden is one of the biggest markets for Highland Park, so when we got a request from SB about a Cask Strength edition and if half size bottles, we gave a try. We won the tender and seems like we were spot on with flavor and strength. We will always use Sweden as a market for new things. The passion and knowledge in Sweden is bigger than anywhere in the world. A lot of your bottlings referring to the Vikings and Norse gods. Why? Marie: The Vikings came from three countries of Scandinavia: Denmark, Norway and Sweden. They sailed to Scotland where they made settlements in the North and on the Orkney and Shetland islands. Martin: We like to tell stories and as the Vikings formed Orkney to what it is today, we like the heritage and the good stories that followed. The Vikings from Denmark, Norway and Sweden came to Orkney around year 800 and settled down. These are the stories we want to tell. Even the founder of Highland Park came from a Nordic family, most likely a Swedish one. 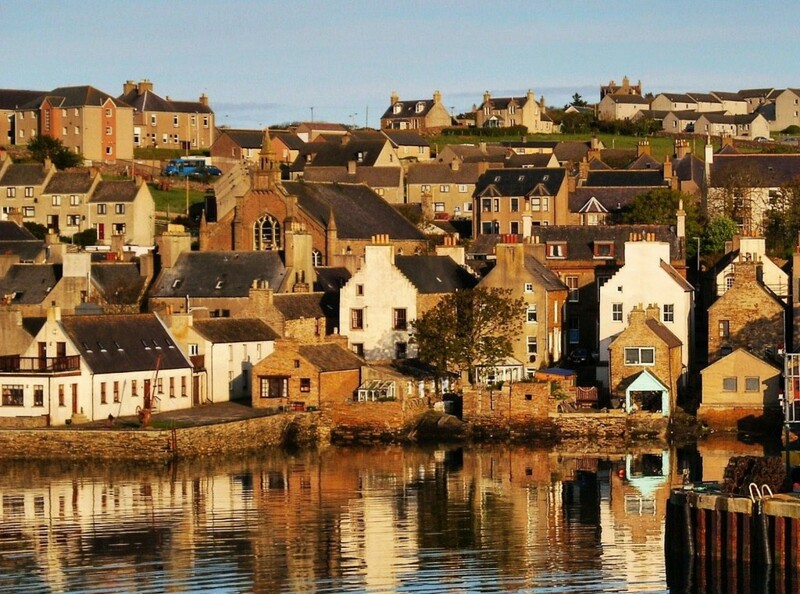 Can you tell us why we should visit Highland Park and Orkney Islands? Marie: The Orkney Islands are amazing and not what most people expect. There is so much to see and something of interest for everyone. There are amazing landscapes, heritage that predates the pyramids, a thriving craft scene and local food and drink that is second to none. Highland Park itself is well worth seeing as it is one of the very few distilleries around that still maintains a floor maltings all situated around a lovely neat complex of buildings on the edge of Kirkwall. 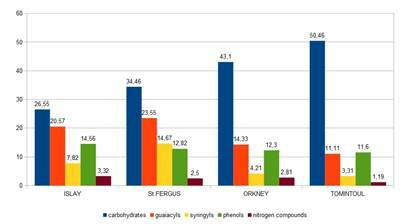 What is your opinion on chill filtration and the adding of e 150 in whisky? Marie: Chill filtration is a useful tool for consistency of a product as long as it is done with care and that it is done within the warmest range practical to protect the flavour and the colour. Addition of caramel is done by companies again for consistency and used to be heavily for the US market. Here at Highland Park we don’t need to do that because the quality of the casks we use gives us good natural colouration. Also consumers are definitely becoming more aware and savvy to the fact that light whisky does not necessarily mean bad/cheap/young whisky. Martin: To be honest after so many years in the industry, I think we have learned that it’s all about the taste in the whisky, color or no color, filtered or non-filtered. That said, I do think that if a distillery have great cask that gives the natural color, then there’s no need for adding e150. When it comes to chill filtration. 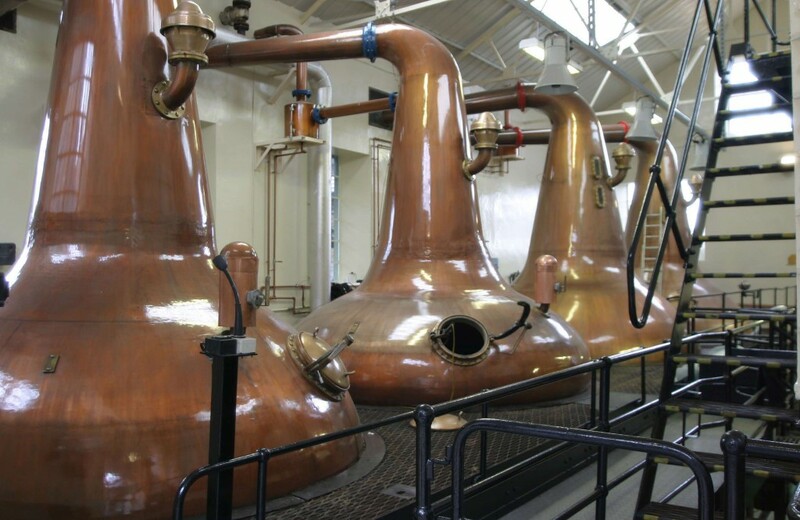 The whisky is cooled to between -10° and 4° C and passed through a fine filter. This is done mostly for cosmetic reasons – to remove cloudiness, rather than to improve or remove taste. We have done a lot of research on this matter. If you look at Highland Park we Chill filter our 12, 15 and 18. We do that because of the strength. If we going to change that in the future… maybe, but as it is now, we need to continue as it is, but a lot of HP is not chill filtered. Marie: Unfortunately no, I have not, although it is now on my list of things to do! Martin: Yes, I have tried them all. Think there´s a lot of great things going on. I can see Box, Smogen and Hven taken the lead now when it comes to flavor and quality. 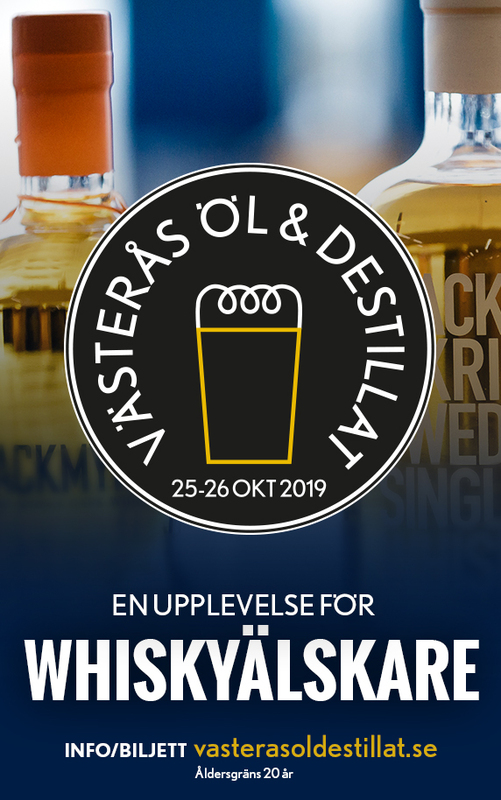 My honest opinion when it comes to Swedish whisky is that especially the 2 distilleries mention here, do most things right. They have the right people to run, people with passion. What they have out now is not the best whisky in the world, but I’m, that someday they will get there. What people sometimes do when they compare Swedish and Scotch whisky is…..they take a Swedish malt at the age of 5-6 years and compare it to a 12 yo scotch and that is not fair. In Scotland whisky have been produce since 1494, in Sweden the last 10-15 years. So still a lot to learn, but I think they are doing great. 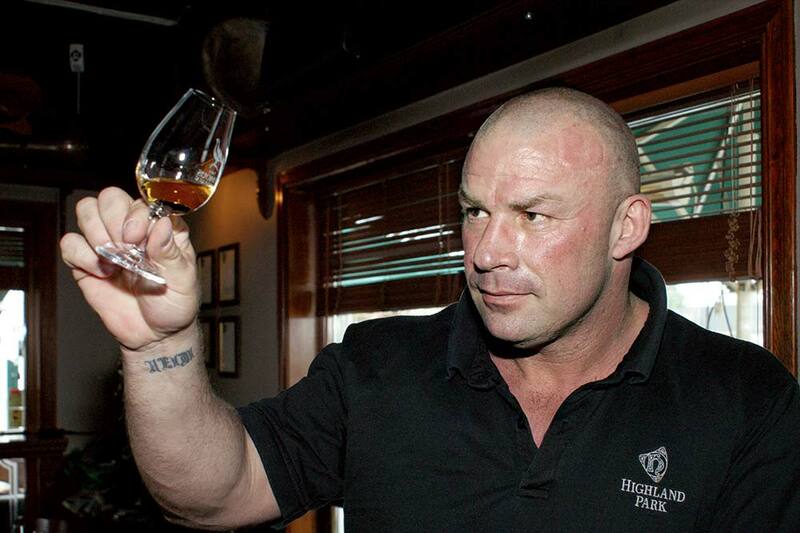 What is the proudest moment of your whisky career? Marie: Other than landing the job here? Probably seeing some of the team who used to work with me smile as they collected their General Certificate in Distillation from the Institute of Brewing and Distilling. Martin: There’s a lot. When I became a Keeper of the Quaich in 2009, but everytime people come over and tell me that my master class was great makes me proud. Most of all I’m just proud of having so many good friends in the best industry in the world. What are your five favorite drams that you have not been involved in? Marie: That’s a tricky one. It’s quite hard to say 5 favourites as I like trying different ones and I go through phases of what I like and then change again! I think I shall just try to pin 3! I think I could claim the Balvenie Portwood as it is 21 years old and I was not with them that long! Don’t often get to drink it but it is truly awesome. Glen Moray 16 year old is always worth coming back to after I have finished one of my phases. Oban 14 year old is a really interesting one that I keep revisiting and being surprised by. Martin: It’s a tough one. I think a distillery like Springbank always have great bottlings, I remember a 1966 that was so special that it still stands as one of the best for me. I love Mortlach 16yo, most Caperdonich is amazing. One of the best ever Ardbeg from 1972 bottled by Douglas Laing for Ardbeggedion. I truly love Laphroaig, as well. Within the last 25-26 years I have tasted so many good ones. I have found that some younger whiskies have surprised me positive and some older have been disappointing. I do have a week heart for Glenfiddich, and especially the 30yo, it’s amazing…..but my all-time favorite will be Highland Park 50 yo. And of the core range 21 yo. Finally: Do you have any whisky advice for our readers? Marie: There is a lot of talk about what people should and shouldn’t do and enjoy with whisky. For me it’s about finding a whisky that you love and relate to, whether other people think it is cool or not, and don’t be afraid to try different things. Martin: My advice to whisky drinkers. Drink responsible, be open minded, taste the whisky before judging it. Enjoy the whisky the way you want. There is no right or wrong, no rules when it comes to how you drink and enjoy whisky. Go the whisky fairs, go to master classes, read books and don’t look at the points given by the writer. He might not like that particular style, but you might…..so start your whisky journey by being open minded. There is no such thing as a bad whisky, all some that are better. Hej! Skulle ni kunna presentera er för våra läsare? Marie: Mitt namn är Marie Stanton, destilleri chef på Highland Park. Gift med Dave och vi har 3 barn, Jack, Sophie och Leah. Jag har inte varit speciellt länge på Orkney, eftersom jag flyttade hit från Speyside i oktober 2015. Innan jag hamnade här arbetade jag för William Grant and Sons på Balvenie. Innan jag hamnade i Speyside 2006 arbetade jag hos Timothy Taylors and Shepherd Neame. Martin: Mitt namn är Martin Markvardsen och jag är Senior Brand Ambassador för Highland Park. Jag har de senaste 10 åren jobbat för Edrington Group, men har totalt ca 26 år i branschen. 2009 blev jag utnämnd till Keeper of the Quaich. Hur blev du involverad i whiskyindustrin från början? Marie: Min far brukade ta oss på semester och det brukade alltid finnas ett bryggeri eller destilleri så där lämpligt nära. Jag lärde mig att älska dofterna från dem och när jag skulle börja på universitetet var det ett naturligt val för mig att välja utbildningen Bryggning och Destillering på Heriot-Watt Universitetet i Edinburgh. Martin: Allt började efter ett destilleribesök. I destillerituren ingick ett besök i ett lagerhus, jag var såld och visste direkt att detta var mitt kall i livet. Jag började arbeta gratis hos några destillerier och lärde mig allting från arbete i lagerhusen till destillering och blendning… Jag är verkligen lyckligt lottad att haft riktigt bra lärare. Hur skulle du beskriva Highland Parks ”husstil”? Marie: Perfekt balanserad, med försiktig rök och sötma. Martin: Highland Park är en lätt och försiktig rökig single malt, med härliga söta honungstoner… Vi vill även få en rik fruktig karaktär i varje butlejering. Hur skulle du vilja beskriva skillnaden mellan er rökiga whisky och den från Islay? Marie: Skillnaden är torven och torvregionen. Det finns 4 huvudsakliga torvtyper i Skottland och de bildades från olika undervegetationer för tusentals år sedan. Varje torvtyp skapar olika grader av fenol till malten när det brinner. Torven på Orkney består av till största delen av rötter från ljung som ger en aromatisk mild rök. Varför valde ni att ge ut HP Cask Strength Edition exklusivt för den svenska marknaden? Marie: Sverige är en av de viktigaste marknaderna för Highland Park. Hela vår produktlinje har varit tillgänglig under många år och vår Senior Brand Ambassador – Martin Markvardsen – har utbildat konsumenter över hela landet i åratal. Vi kände att det var viktigt att skapa något prisvärt, intressant, begränsat och speciellt för den svenska publiken. Den har visat sig vara väldigt populär. Martin: Sverige är en av de största marknaderna för Highland Park, så när vi fick en förfrågan från SB om en Cask Strength edition och i halv flaska, beslutade vi oss för att ge det ett försök. Vi vann anbudet och det verkar som att den blev perfekt när det gäller smak och styrka. Vi kommer alltid att använda Sverige som marknad när vi testar nya saker. Passionen och kunskapen i Sverige är större än någon annanstans i världen. En hel del av era utgåvor refererar till vikingarna och de nordiska gudarna. Varför? Marie: Vikingarna kom från tre länder i Skandinavien: Danmark, Norge och Sverige. De seglade till Skottland där de grundade bosättningar i norra delen och på Orkney och Shetlandsöarna. Orkney öarna ägdes av kung Christian 1 – som regerade över Danmark och Norge. De gavs som gåvor till Skottland som en del av en ”hemgift” i samband vid den ekonomiska överenskommelsen 1468. För 500 år sedan talade man nog ”nordiska” och man var inte Skottar. Vikingarna och de nordiska länderna finns i vårt DNA, bokstavligen har faktiskt 1 av 3 på Orkney skandinaviskt DNA i deras blod. Vi hyllar detta faktum genom våra buteljeringar och marknadsföring. Martin: Vi gillar att berätta historier, och eftersom vikingarna formade Orkney till vad det är idag, uppskattar vi det arvet och de underbara historier som följde. Vikingarna från Danmark, Norge och Sverige kom till Orkney runt 800-talet och skapade sina bosättningar. Det är dessa historier vi vill berätta. Till och med grundaren av Highland Park kom från en nordisk familj, troligtvis en svensk sådan. Berätta gärna om varför man bör besöka Highland Park och Orkney öarna? Marie: Orkney öarna är fantastiska och inte vad de flesta förväntar sig. Det finns så mycket att se och något intressant för alla. Det finns fantastiska landskap, arv som föregår pyramiderna, ett blomstrande hantverk och lokal mat och dryck som är oöverträffad. Highland Park i sig själv är väl värt att se eftersom det är ett av mycket få destillerier som fortfarande upprätthåller golvmältning, allt beläget runt en vacker och snygg komplex byggnad i utkanten av Kirkwall. Martin: Orkney är värt ett besök, inte bara för de två destillerierna, utan även för de vackra och karga öarna. Det finns så många historiska och så många fantastiska platser. Folket på Orkney är mycket vänliga, så jag önskar att alla fick chansen att se hur fantastiskt det är. Självklart är Highland Park ett måste. Att handvända malten är en ovanlig syn idag, men det görs hos oss. Det finns massor av fantastiska barer… vad kan jag säga… åk dit! Vilken syn har du på kylfiltrering och att addera e150a i whisky? Marie: Kylfiltrering är ett bra verktyg för att skapa konsekvens av en produkt så länge som det görs med omsorg och att det sker inom den varmaste intervallen för att skydda smaken och färgen. Tillsättning av sockerkulör görs av företag, återigen för att skapa en konsekvent produkt, och i huvudsak för den amerikanska marknaden. Här på Highland Park behöver vi inte göra det då vi har så hög kvalitet på de fat vi använder oss av, vilket ger en bra naturlig färg. Även konsumenterna börjar definitivt bli mer medvetna och kunniga om det faktum att ljus whisky inte nödvändigtvis innebär dålig/billig/ung whisky. Martin: I ärlighetens namn, efter många år i industrin, tycker jag det handlar om smaken hos en whisky, färgad eller inte, kylfiltrerad eller inte. Med det sagt, tycker jag att om ett destilleri har bra fat som ger naturlig färg, så behövs det ingen färgning. Vad gäller kylfiltrering, kyler man ner whiskyn till mellan -10° and 4° C och pressar den genom ett fint filter. Detta görs främst av kosmetisk anledning – för att ta bort grumlighet, och alltså inte för att försämra eller ta bort smaker. Vi har genomfört många undersökningar i detta ämne. Om du tittar på Highland Park så kylfiltrerar vi 12, 15 och 18 åringarna. Vi gör detta på grund av alkoholhalten. Om vi kommer att ändra detta i framtiden… kanske, men som det är nu så måste vi fortsätta att göra detta. Men det finns många HP som inte är kylfiltrerad. Har du provat någon svensk whisky? I så fall, vad tyckte du om den? Marie: Tyvärr, det har jag inte. Men det finns nu på min lista över saker att göra! Martin: Ja, jag har provat dem alla. Tycker att det finns en hel del stora saker på gång. Jag tycker att Box, Smögen och Hven har tagit ledingen när det kommer till smaker och kvalitet. Min ärliga åsikt när det kommer till Svensk whisky är att det speciellt är 2 destillerier som jag nämnt, som gör saker rätt. De har rätt personer som leder, personer med en passion. Det som de hittills tagit fram är inte den bästa whiskyn i världen, men jag tror att de en dag kommer att nå dit. Ett misstag som människor ofta gör när de jämför svensk och skotsk whisky är… de tar en svensk malt på 5-6 år och jämför det med en 12 årig skotsk malt. Det är inte rättvist. I Skottland har man producerat whisky sen 1494, i Sverige de senaste 10-15 åren. Så det finns fortfarande mycket att lära, men jag tycker att de gör det fantastiskt. Vilket är ditt stoltaste ögonblick i din whiskykarriär? Marie: Förutom att få jobbet här på HP? Förmodligen att se några av de team som har jobbat med mig le när de tar emot sitt General Certificate in Distillation från institutet av Bryggning och Destillering. Martin: Det finns en massa. När jag blev utnämnd till Keeper of the Quaich 2009, men också varje gång människor kommer fram och säger till mig efter en provning att det var fantastiskt gör mig stolt. Mest av allt är jag stolt över att ha så många goda vänner i den bästa industrin i världen. Vilka är dina topp 5 whiskies som du INTE har varit involverad i? Marie: Det är en svår fråga. Det är svårt att säga 5 favoriter eftersom jag gillar att prova olika sorter och eftersom jag går igenom olika faser av vad jag gillar, för att sedan ändra igen! Jag tror att jag försöker välja 3 stycken! Jag tror att jag kan välja Balvenie Portwood, då den är 21 år och jag faktiskt inte arbetade där så länge! Inte ofta jag får möjlighet att smaka den, men den är verkligen fantastisk. Glen Moray 16 year old är alltid värd att komma tillbaka till när jag avslutat någon av de faser jag pratade om. Oban 14 year old är en riktigt intressant whisky som jag ofta återkommer till och överraskas av. Martin: Det är väldigt svårt. Jag tycker att destillerier som Springbank alltid har stora utgåvor. Kommer ihåg en från 1966 som var så speciell att den fortfarande står ut som en av de bästa för mig. Jag älskar Mortlach 16yo, vilken är häpnadsväckande. En av de allra bästa är Ardbeg från 1972 som buteljerades av Douglas Laing för Ardbeggedion. Jag älskar verkligen Laphroaig också. De senaste 25-26 åren har jag smakat så många goda whiskies. Jag har upptäckt att vissa yngre whiskies har överraskat mig positivt och några äldre har varit besvikelser. Jag har dessutom ett svagt hjärta för Glenfiddich, och speciellt deras 30 åring är fantastisk… men min absoluta favorit är Highland Park 50yo. Och från standardsortimentet är det 21 åringen. Slutligen: Har du något whiskyråd till våra läsare? Marie: Det finns en massa åsikter om vad människor ska och inte ska göra när de ska njuta av en whisky. För mig handlar det om att hitta en whisky som du älskar och som du kan relatera till, oavsett om andra tycker den är bra eller inte, och var inte rädd för att prova olika saker. Martin: Mitt råd till de som gillar whisky: Drick med ansvar, med öppet sinne och smaka whiskyn innan du dömer ut den. Njut av whisky som du vill. Det finns inget rätt eller fel, inga regler när det kommer till hur du ska dricka och njuta av en whisky. Tackar och bockar Jan. Kan avslöja att den recension vi gör på fredag är den bästa av de HP vi provar denna vecka?